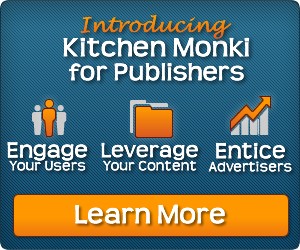 Add your own recipes or search Kitchen Monki and add to Your Queue. Plan your meals from the recipes in Your Queue. Create a shopping list scaled to the recipes in your plan, then print or send it to your phone. Andrew Bourgeois rated Roasted Chickpea Gyros 5 bananas. Kara Gonzales rated Deviled Eggs 5 bananas. Kara Gonzales rated BLT Deviled Eggs 5 bananas. Kara Gonzales rated Au Gratin Potatoes 5 bananas. Kara Gonzales rated Maple Orange Bourbon Glazed Ham 5 bananas. Kara Gonzales rated Garlic Cheddar Drop Biscuits 5 bananas. Kara Gonzales rated Easter Dirt Cake Recipe 5 bananas.